I get so excited when I come across the perfect solution to a problem and let me tell you, when there are toddlers involved crayons are always a problem. The cardboard boxes they come in get destroyed in a matter of seconds due to tiny little hands with super human strength ripping them apart to find just the right color of who knows what for the pony's pretty tail. 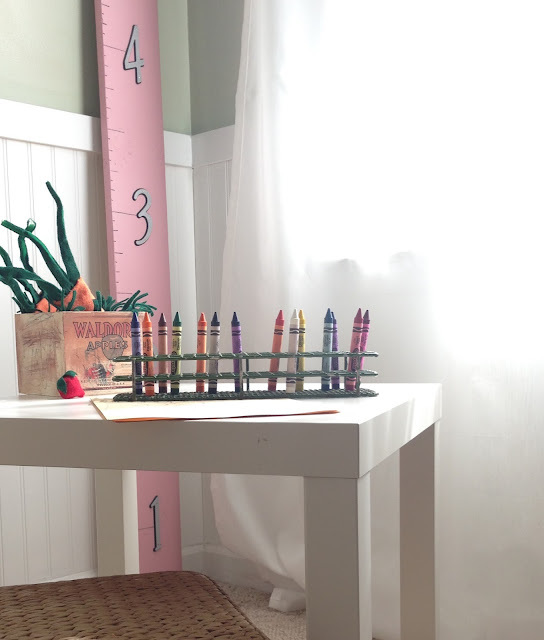 I was on the hunt for something durable that I could leave out with easy access for the little and something that would allow her to be able to see and grab her color of choice without having to dig for it or leave crayons all over the table which eventually roll off and snap in half. This chippy old test tube holder fit the bill. 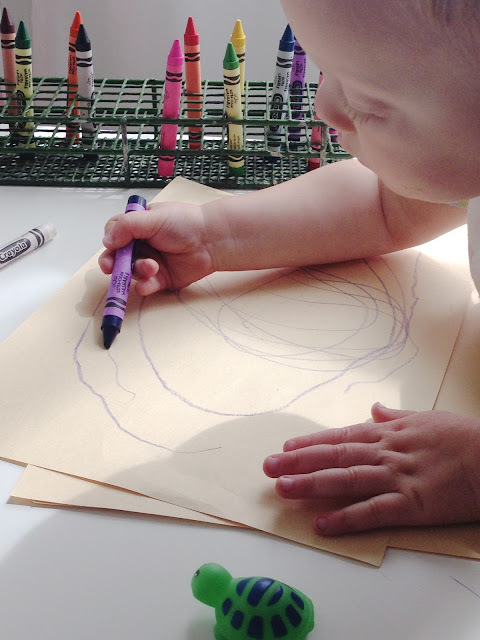 The grid is just big enough for jumbo crayons to fit right in and is easy for little toddler hands to get them in and out. I also love that the length of it is long enough to share without friends fighting over the same crayon. So keep and open mind the next time your at the flea market, vintage finds can make some really cool storage and organization solutions.